For the third time in 2018, ONE Championship™ (ONE), the largest global sports media property in Asian history, brought their exciting brand of martial arts action to Philippine soil and once again, it brought the house down. ONE: REIGN OF KINGS, which was held at the SM Mall of Asia Arena last Friday, 27 July, featured a stacked card from top to bottom, and was headlined by top Filipino bantamweight contender Kevin ‘The Silencer’ Belingon of Team Lakay who defeated reigning ONE Featherweight and Lightweight World Champion Martin ‘The Situ-Asian’ Nguyen to become the new ONE Interim Bantamweight World Champion. Aside from the massive main event that featured two of ONE Championship’s top athletes, a handful of other big names also saw action, including martial arts legends Renzo Gracie and Yuki Kondo, as well as former ONE Lightweight World Champion and Filipino mixed martial arts hero Eduard Folayang. From as early as the opening bout of the night, fans had already filled up more than half of the seats at the state-of-the-art arena in Manila, and even as event night progressed, more people continued to gather outside the arena, hoping to make their way in to catch the action. By the end of the night, the SM Mall of Asia Arena was packed to the rafters with passionate martial arts fans. “The Philippines has always been one of the best countries to hold our events, so it’s no surprise that ONE: REIGN OF KINGS in Manila produced that kind of turnout,” said ONE Championship founder and Chairman Chatri Sityodtong. “Filipino fans are some of the most passionate fans, not just in Asia, but in the whole world, and that’s because every Filipino, deep inside, has that warrior spirit,” Sityodtong continued. In turn, the Filipino contingent at ONE: REIGN OF KINGS repaid the unparalleled fan support by turning in a 4-0 clean sweep that saw Folayang, Joshua Pacio, and Rene Catalan all putting on impressive performances leading to dominant victories. 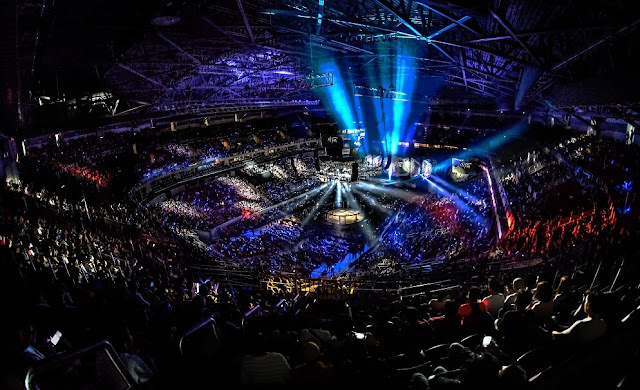 Drawing a huge crowd and pulling in an immense number of viewers in Manila is nothing new anymore, as back in 2017, ONE Championship made history by putting together the most-watched mixed martial arts event in the country. ONE: KINGS OF DESTINY, which was headlined by then-champion Folayang successfully defending his ONE Lightweight World Championship against top contender Ev Ting back in 21 April, 2017, became the most-watched mixed martial arts show in the Philippines, not only filling up the SM Mall of Asia Arena, but also garnering a 26-percent peak ratings share that blasted the competitors’ television ratings out of the water. “We broke all records with a 26 percent peak TV ratings share as per Nielsen. Those numbers are massive. It means one in four Filipinos who were watching TV was watching ONE Championship,” Sityodtong said then. After making history last year, ONE Championship aims to make even more history in the Philippines this year and in the years to come, and one of the steps the company has taken is to double-up on the number of events to take place on Philippine soil. From usually holding two cards a year, ONE Championship has already put on three momentous cards in Manila this year, and there’s one more on the way, which is likely to again feature some of the biggest names on the ONE roster. By the end of 2018, Manila will have hosted four ONE Championship events. “This year, we’ll be holding twice as many cards in Manila, and moving forward, the Filipino martial arts fans can expect even more big names and even more exciting ONE Championship action. As I’ve said before, I believe this is just the tip of the iceberg with regards to what ONE Championship can achieve.” Sityodtong added. ONE Championship returns to Manila on November 23rd(Friday), for ONE: CONQUEST OF CHAMPIONS.